O2 will consider blocking access to sites that offer streaming television through 3G, like the recently unveiled TVCatchup. 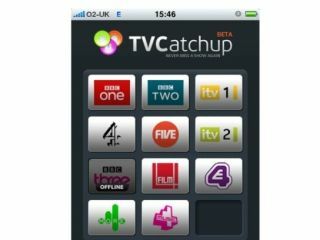 The TVCatchup site has been optimised for the iPhone and can be accessed through a website – neatly cutting out Apple's app vetting process. Although O2 encourage streaming television through Wi-Fi (which obviously puts no strain on its network) it told TechRadar that 3G streaming could bring a ban on sites that offer the service. "O2 offers several phones, such as the Apple iPhone and Palm Pre, that can be used to stream live TV, and we encourage customers to use this when connected to Wi-Fi either in their home or out and about," an O2 spokesperson told TechRadar. "When customers are connected to 3G we do not block services like mobile TV, however we reserve the right to prevent access to services that affect other users' service. "This includes products that continually stream audio and/or video." Of course, should O2 actually decide to block a site that offers streaming then it is sure to draw anger from iPhone users. The iPhone is currently only available through O2 but will soon be available through other networks Orange and Vodafone.